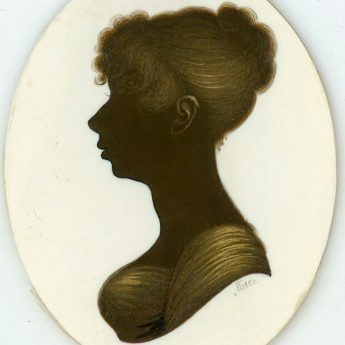 This small silhouette shows a young Regency lady wearing an empire-line dress with a square neckline and narrow sleeves. Her hair is swept back into a knot with curls over her forehead. The profile is signed ‘Miers’ under the bust-line and is set behind convex glass in the original silk-lined travelling case. 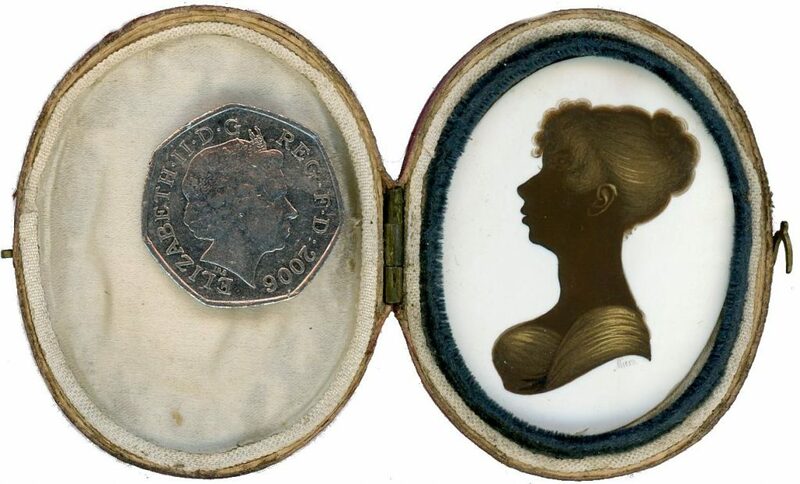 (The 50p coin is included to demonstrate the small size of the piece.) Both the silhouette and the case are in excellent condition. 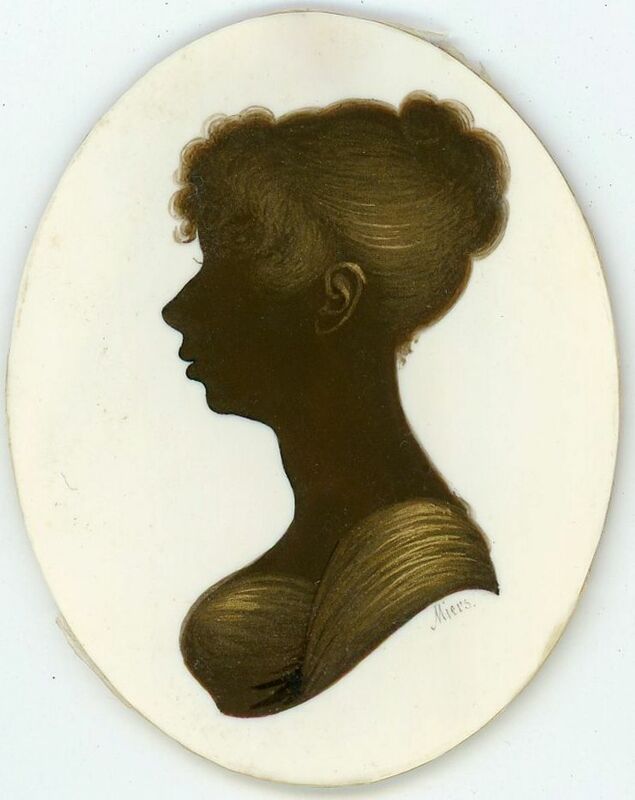 Ranking amongst the finest silhouette artists, John Field (1772-1848) began his career as an assistant to John Miers during the 1790s. Theirs was to be a long and prolific partnership lasting until the death of Miers in 1821 when the business was jointly willed to Field and Miers’ son William. Field excelled at bronzing and his work in this area was unequalled.